A versatile ready-to-use all purpose cleaner which removes everyday dirt and grime. This amazing cleaner can be used in almost any application on washable surface. B-GONE uses the power of enzymes to eliminate organic stains and odors naturally. B-GONE breaks down and destroys the organic process, helping restore surfaces to their initial state. Fresh scent and special odor encapsulators help capture and eliminate airborne odors. Will leave carpets and rooms smelling fresh and clean. A source of naturally occurring enzymes that will break down organic matter and eliminate associated odor. Releases stains caused by food spills, urine, feces, vomit, blood, dirt and perspiration for more complete removal. Leaves area clean and odor free. 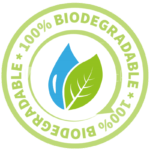 This product is non-acid, non-caustic, non-volatile and is 100% biodegradable. Can be used with full confidence in restaurants, hotels, motels, laundries, health clubs, hospitals, schools, nursing homes, industries, farms, and private residence. Municipalities and industries will welcome the use of natural enzyme products since it not only adds no pollutants to the waste water runoff , but actually begins the biodegradation. A product formulated to naturally degrease and lifts soil for complete and safe removal from virtually any hard surface. This versatile product contains detergents, pleasant lavender odor and special emulsifiers to make it one of the most sought after cleaners on the market today. Can be used in virtually any application from schools, to institutions, to restaurants. A professional product that will eff ectively encapsulates and neutralize malodors caused by smoke, vomit, urine, flood waters, etc. FRESHEN leaves a lingering and pleasantly fresh fragrance. Economical and safe to use by professional cleaners, disaster contractors and in-house maintenance personnel. A disinfectant cleaner that is eff ective against a broad spectrum of bacteria, is virucidal (including HIV-1, the AIDS Virus), fungicidal, and will prevent the growth of mildew and their odors when used as directed. May be used on washable hard, non-porous surfaces. For hospitals, household, institutional and industrial use. Kills Pseudomonas aeruginosa, Staphylococcus aureus, Salmonella choleraesuis, Herpes, Simplex Type 2 virus, HIV-1 Virus, Influenza Type A/Hong Kong, Trycholophyton metagrophytes ( the Athlete’s Foot Fungus). A ready to use premium glass & surface cleaner which is formulated to cut through soils and film without streaking or hazing. Is environmentally formulated to meet all “green” standards: and will It will gently remove dust, grease, finger marks and smoke fi lm without leaving behind any hindering residue. A heavy duty cleaner for everyday cleaning. This incredible product has been formulated to be environmentally safe to use and handle. This product is made with 100% biodegradable materials and is non-toxic. Kleen Green can be used in a variety of different applications from the light duty cleaning all the way to heavy degreasing in industrial applications. This product has been built with high levels of detergents and surfactants, allowing it to be diluted under many situations. Safe to use on virtually any surface. This ready-to-use nonacid formulation is designed to clean, disinfect and deodorize all hard surfaces in a restroom. Effective against HIV-1, Herpes Simplex Type 2, Staphylococcus aureus, Salmonella choleraesuis and Pseudomonas aeruginosa. Containspowerful odor counteractants that leave areas smelling fresh and clean. Safe for use on all surfaces. A ready to use spray sanitizer for food and food prep establishments. For spot removal of natural stains such as food, blood, juice, urine, and wine. Will lift off and remove heavy dirt, oils and soils that contain high levels of natural oils or grease. Penetrates deep into fibers to get stains that have set. This earth friendly green formula is biodegradable, people and color safe. Carpet spots disappear in seconds! Superior carpet extraction and bonnet cleaning Helps control odors while you clean! Besides being effective on grease and grime, it has been specifically formulated to leave behind no sticky residues, eliminating the need to rinse after cleaning. A pleasant scent also leaves rooms smelling clean. A powerful ready to use cleaner/degreaser which removes the toughest grease and grime. Removes grease, ink, crayon, pencil, lipstick, black heel marks, smoke film, greasy food stains. This amazing cleaner can be used in almost any application on an washable surface.